Last year, my husband and I started a new holiday tradition with two of our nieces; instead of a tradition Christmas gift for them to open up on the holiday, we give them an experience. We live in this amazing city so there are plenty of fun things to take them to, plus we do a sleepover where we stay up late, make brownies, and play games. This year, we took them to see the big tree in Daley Center and Elf on stage last night, and today the four of us went to the Field Museum. 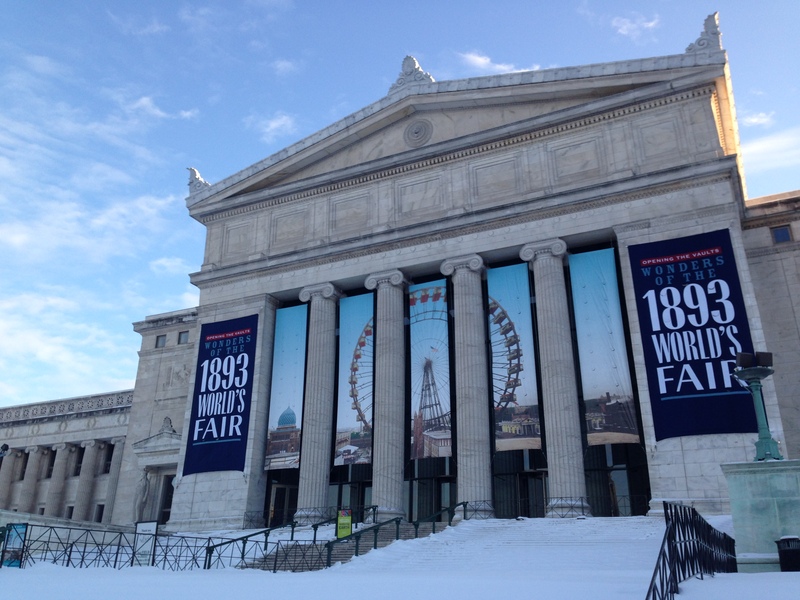 I was so excited to go because I have been wanting to go see the special exhibition on the World Fair: “Opening the Vaults: Wonders of the 1893 World’s Fair”. 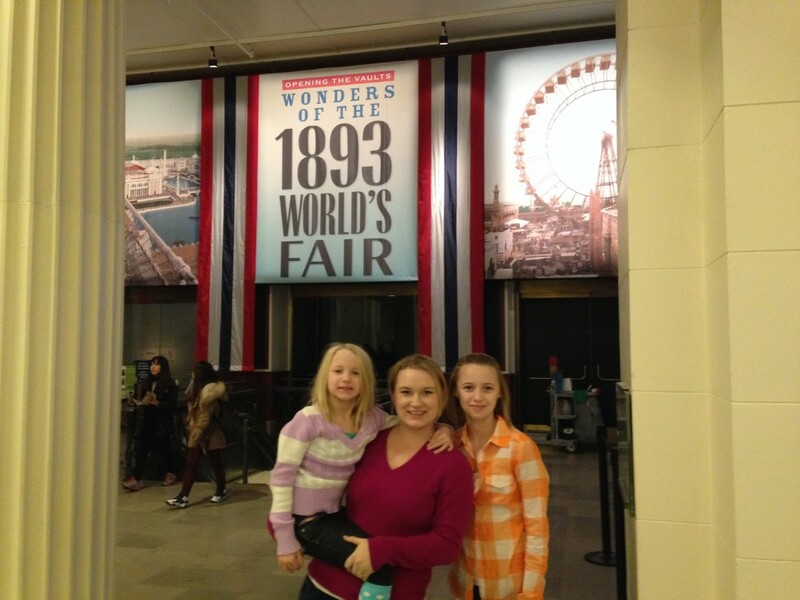 D, our oldest niece at 11, was also excited because she had learned about the fair at school. 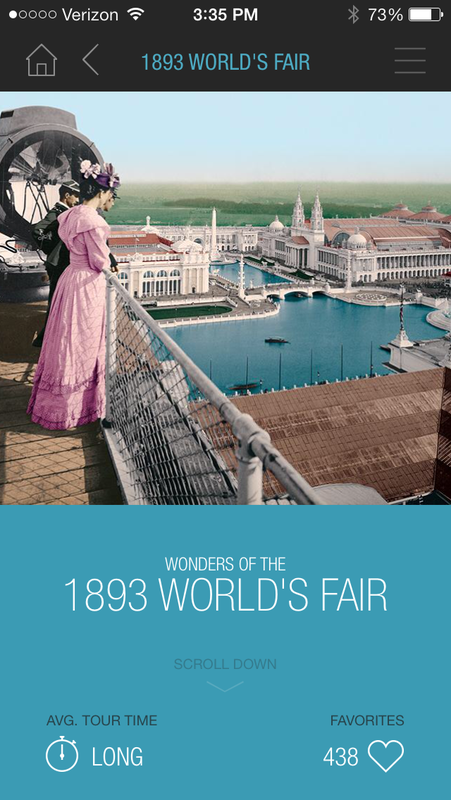 Wonders of the 1893 World’s Fair takes visitors back to the World’s Columbian Exposition, one of the greatest events in the history of Chicago and the U.S. Since the Field Museum was founded to commemorate the Fair, all their original collections were objects displayed at the Fair itself. The museum has 50,000 objects from the Fair, with the exhibit showing over 200 of those items. As someone who has been many times, I found it fascinating to learn that it all started because of this exciting event in Chicago’s history. “Opening the Vaults” means that many of the items being showcased have rarely – if ever- been displayed before. 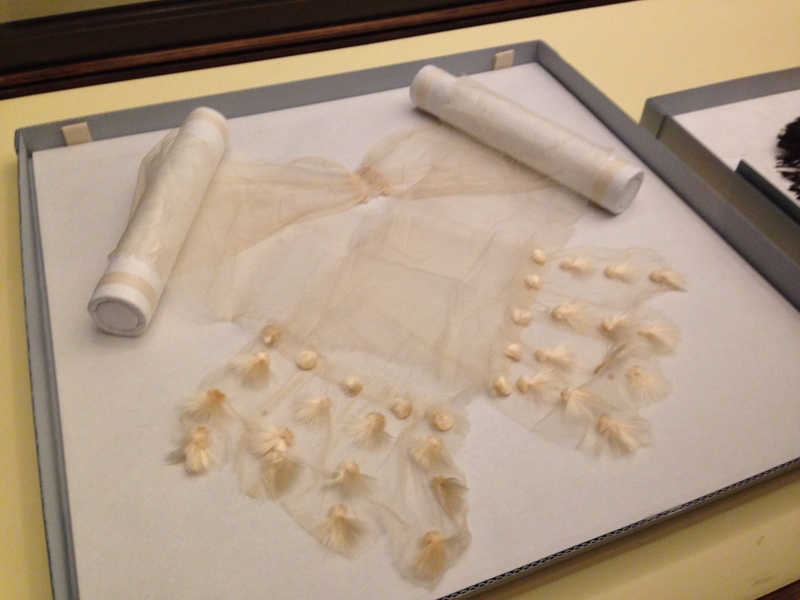 It’s so cool that we got to see pieces that haven’t been seen by the public for 120 years. The exhibit was great! There were large-scale murals and video projections that allowed us to see what it would have been like to be a visitor at the Fair grounds. 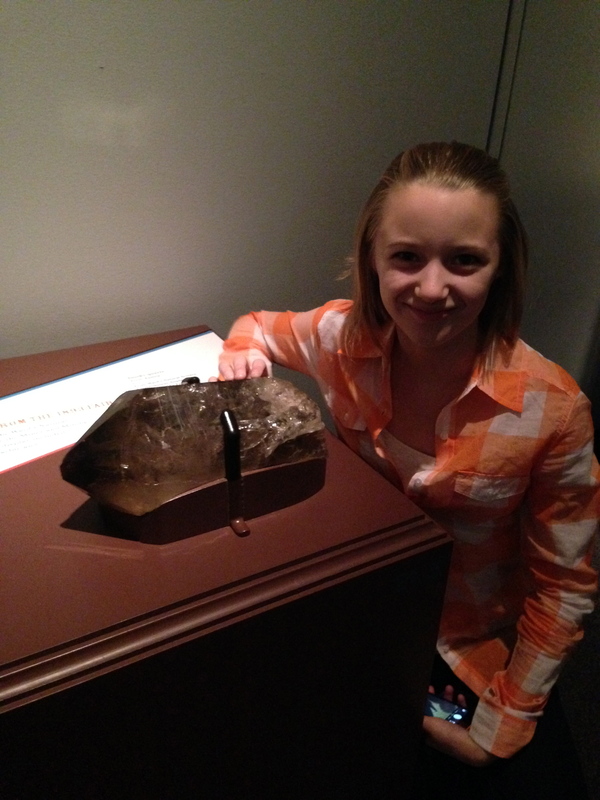 B, our youngest niece, found these especially interesting because she got to see what the city looked like back then. There was also a great museum employee who was standing by a map of the Fair grounds. He explained to the kids that it was so hot during the summer, especially for the wardrobe of the time period, that richer visitors would pay college students to push them around in wheel chairs; they thought that detail was hilarious! I really can’t explain how great it was to have someone knowledgeable there to interact with D and B! We found the pieces below really cool! There was a section of the exhibit about items displayed at the Fair that were made out of plants. The first is a lace shawl made out of tree bark! 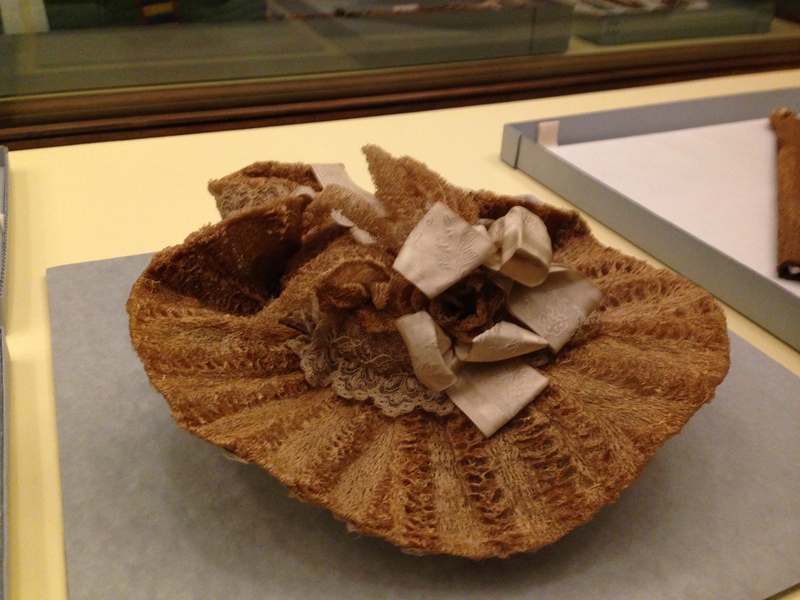 The second is a hat made from a loofa sponge. There are also two digital interactions that my husband and nieces loved! The first allows you to engage with mummies that were displayed at the Fair; using 3D scans, you can see the different layers of the wrapped mummy, including the objects wrapped with the mummy. 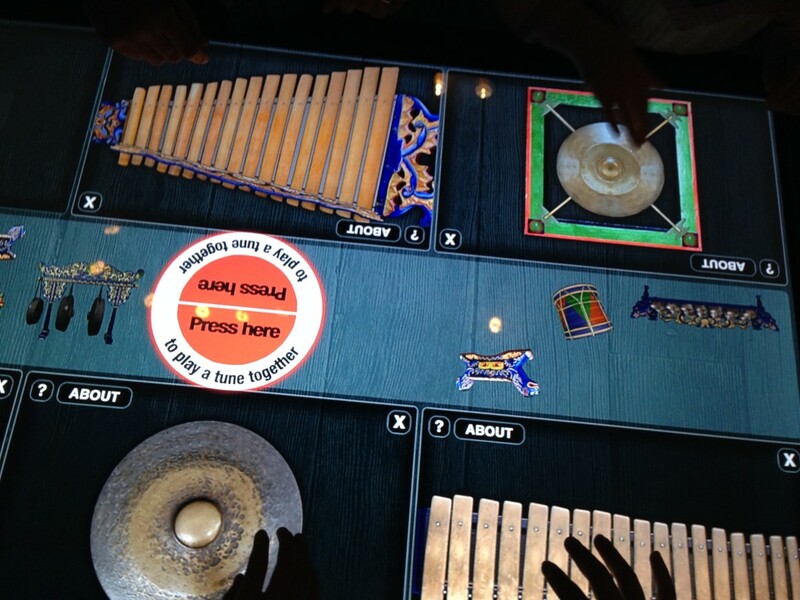 The second one is a music display; you can digitally play instruments that were displayed and used at the Fair and then see the actual instruments displayed. We even tried to play a song together! Plus, there were a couple objects from the fair that you were allowed to touch. The fact that they could touch something that someone else touched 120 years ago really got D and B; they thought it was so neat! 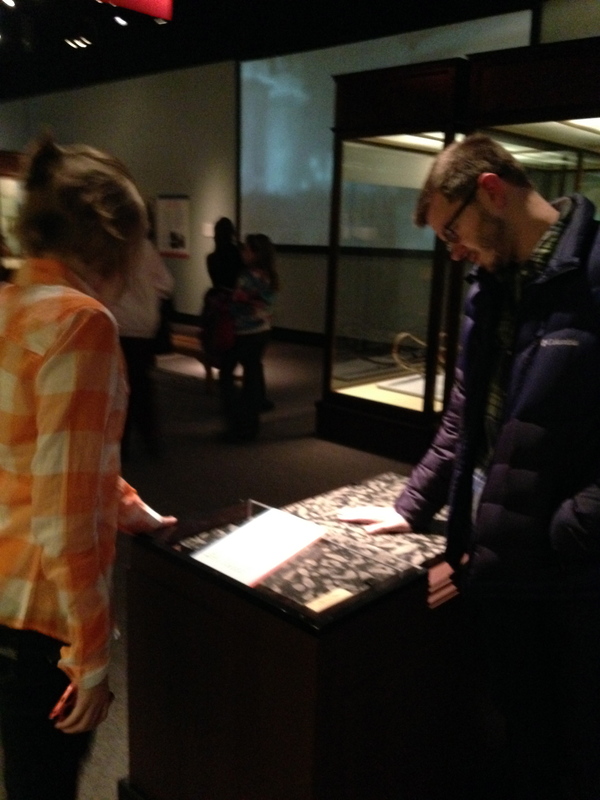 Both the video projections and these digital interactions make the exhibit far more engaging for younger visitors – as does the Field Museum app! I, as well as D, downloaded the app because the exhibit had special places were you could get more information on an exhibit – like a video or article. B had learned about totem poles at school, so we started there as our first stop on the app tour. After scanning the code, we got to see a fun panoramic visual that showed how the totem poles were brought from British Columbia to the Fair to the Field Museum. At the accounting ledger in the exhibit, we learned that for 25 cents, people could see the construction of the Fair’s 200 buildings; plus, we got got to see a video slideshow of what they might have seen. 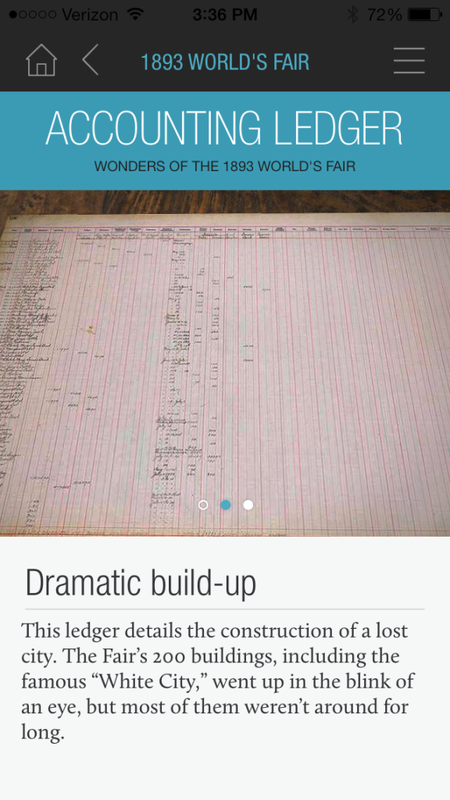 The app provides information about items in collections throughout the museum. 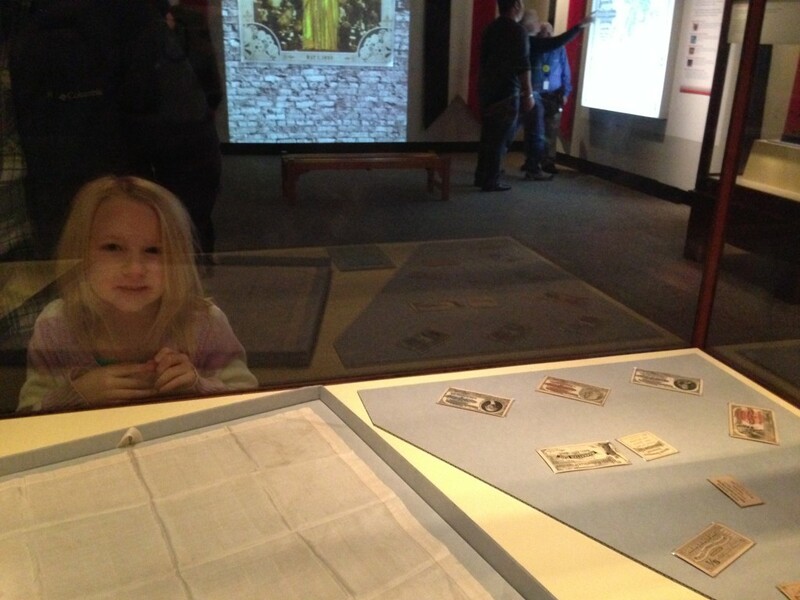 With WiFi available, it is definitely a fun way to learn a little extra at the museum! If you are in Chicago or are planning to come visit, you should definitely make a trip over to the Field Museum! It will be open until September 7, 2014, so you still have plenty of time to plan a trip! !